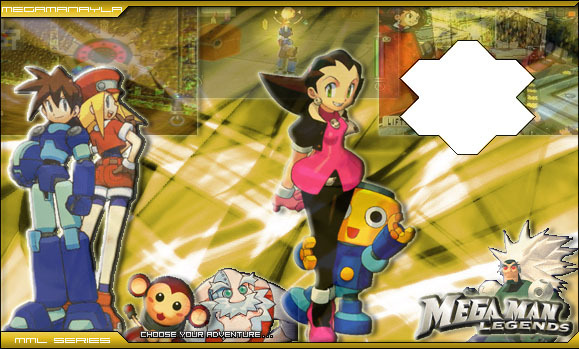 Here you can find detailed description about every character from the Mega Man Legends series. Roll Casket - is the granddaughter of Barrel Casket. Her parents disappeared long ago when on a dig. She hopes to find them someday, or at least know what happened to them. She's 14, like Mega Man, and is a genius at machinery, as well as other things. She helps Mega Man as his Spotter on digs, and helps with his equipment. Barrel Casket - is a famous retired Digger. He now passes on his knowledge to Roll and Mega Man. He has raised both of them since they were babies.